The Kyuranger civil war erupts and the Galactic Union Police's elite are on the move to arrest one of the ultimate saviors! 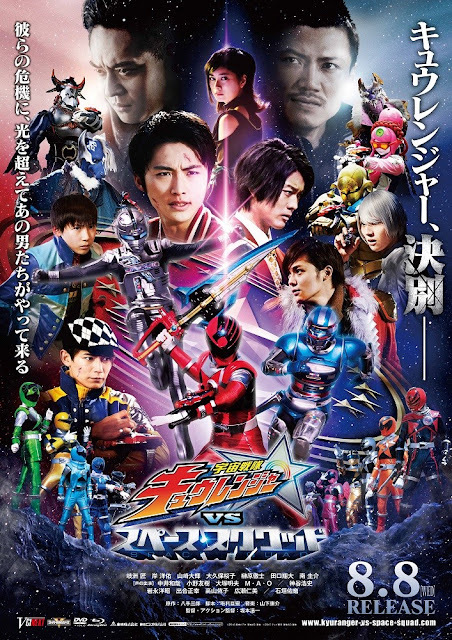 Here's the second trailer for Uchuu Sentai Kyuranger VS SPACE SQUAD that was recently released by Toei! Uchuu Sentai Kyuranger VS SPACE SQUAD is scheduled to be released on DVD this August 8th and will have a limited theatrical release on June 30, 2018.